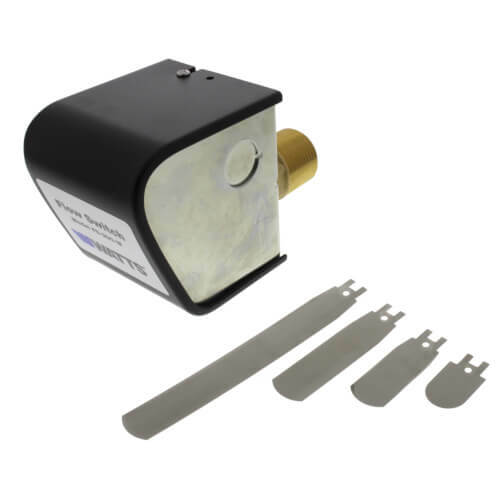 Series FS-200-W Paddle-Type Flow Switches are used in commercial and industrial applications to accurately monitor the flow of liquid in pipelines servicing water systems, heating systems, air conditioning and processing installations for industrial and commercial applications. The flow switches are designed to act as automatic control or safety devices for liquid flow. The FS-200-W's enclosure is NEMA 1 for general purposes. Maximum Pressure: 160psi (11 bar).